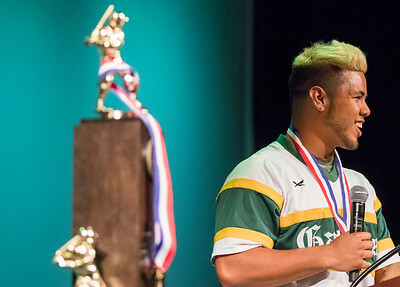 Sarah Nader - snader@shawmedia.com Crystal Lake South's Brian Fuentes Reyes speaks to the crowd while celebrating the baseball teams state championship Tuesday June 13, 2017 at Crystal Lake South High School. 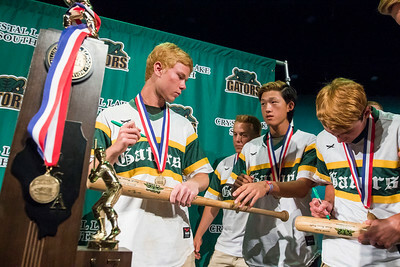 Sarah Nader - snader@shawmedia.com Crystal Lake South's Griffin Bright (left) and the rest of the baseball team sign a baseball bat after a state baseball celebration for them Tuesday June 13, 2017 at Crystal Lake South High School. Sarah Nader - snader@shawmedia.com The Crystal Lake South baseball team celebrates their state championship Tuesday June 13, 2017 at Crystal Lake South High School. Sarah Nader - snader@shawmedia.com Crystal Lake South's Andrew Engelking speaks to the crowd while celebrating the baseball teams state championship Tuesday June 13, 2017 at Crystal Lake South High School. 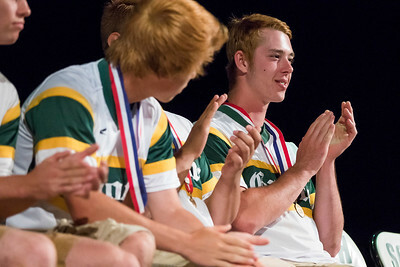 Sarah Nader - snader@shawmedia.com Crystal Lake South's Noah Tyrrell celebrates with the baseball team their state championship Tuesday June 13, 2017 at Crystal Lake South High School. 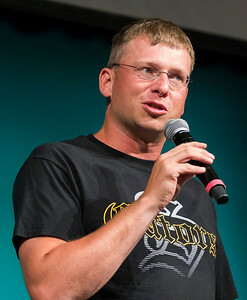 Sarah Nader - snader@shawmedia.com Crystal Lake South head baseball coach Brian Bogda introduces the state championship baseball team during celebration Tuesday June 13, 2017 at Crystal Lake South High School. 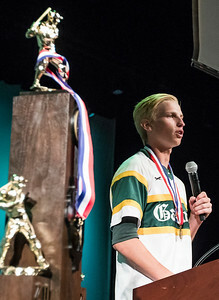 Crystal Lake South's Andrew Engelking speaks to the crowd while celebrating the baseball teams state championship Tuesday June 13, 2017 at Crystal Lake South High School.